Simultaneously exotic, yet familiar of the foods I once ate – Bio is one of the few organic and vegetarian restaurants in Buenos Aires. I took Blair here for her first night in town. Blair has been vegetarian for the last year, so I thought it would be better to ease in slowly to true Argentine cuisine. Bio was a good place to start. 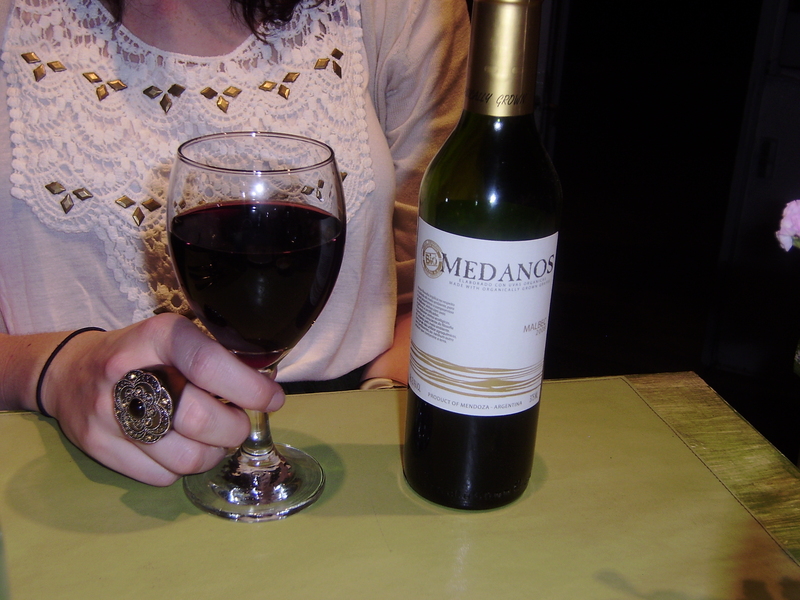 We shared a mini bottle of this organic Malbec from Mendoza. 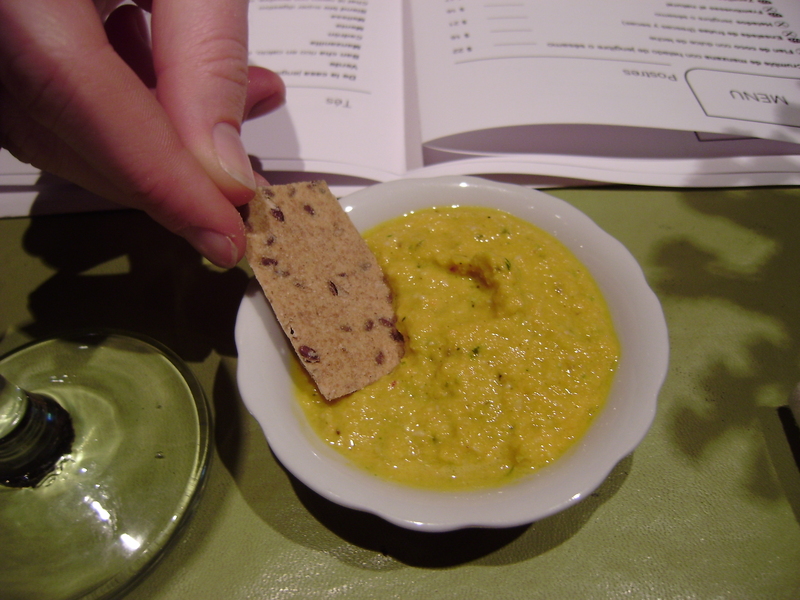 We were going to Mendoza the following weekend, so why not do a little ‘research’ beforehand. It wasn’t the best Malbec, but a nice accompaniment to our dinner. 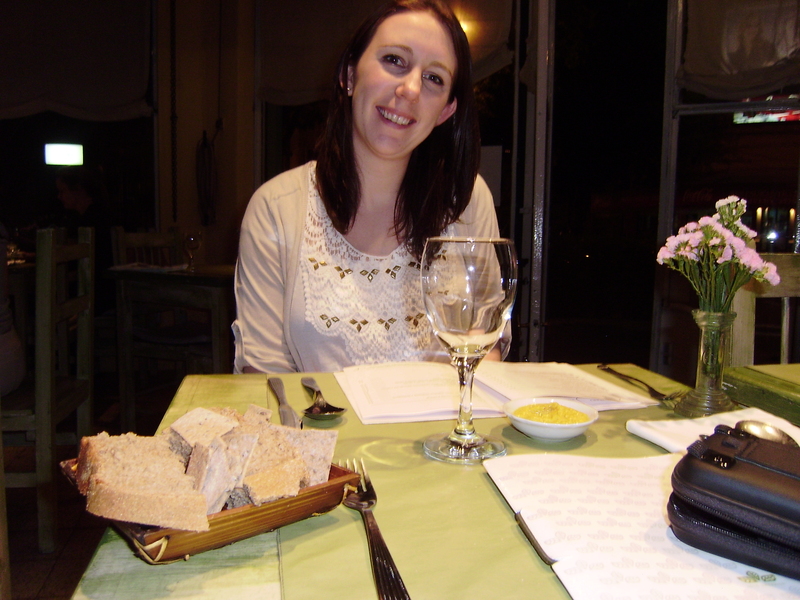 We enjoyed the warm fresh baked bread on the tables, and the yellow curry sauce that accompanied it. 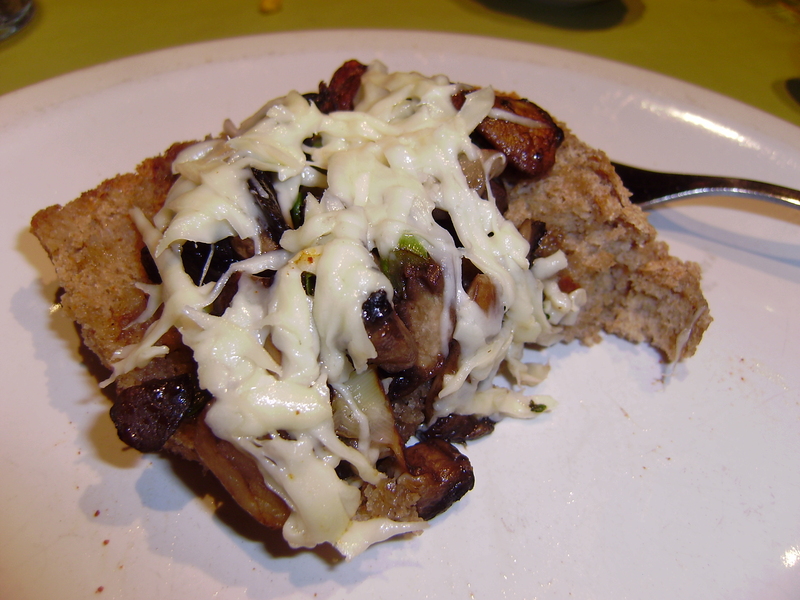 For a starter we shared a mushroom cheese ‘bruschetta’, with surprised me by its unconventional approach of thick lightly toasted wheat bread, savory sautéed mushrooms and melted cheese. 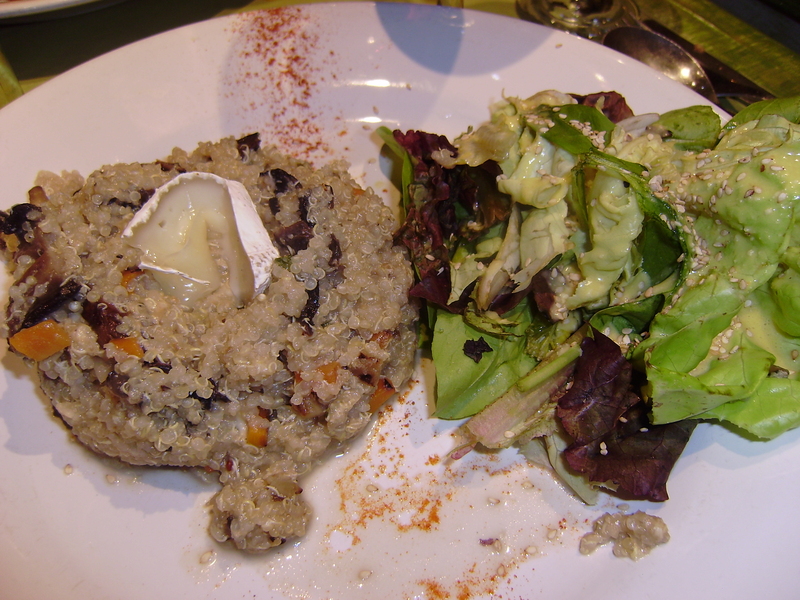 For the main course I ordered a vegetable quinoa, which came with a butter lettuce salad and a big chunk of gooey melty brie cheese, which was of course, why I ordered it. I was not dissapointed. 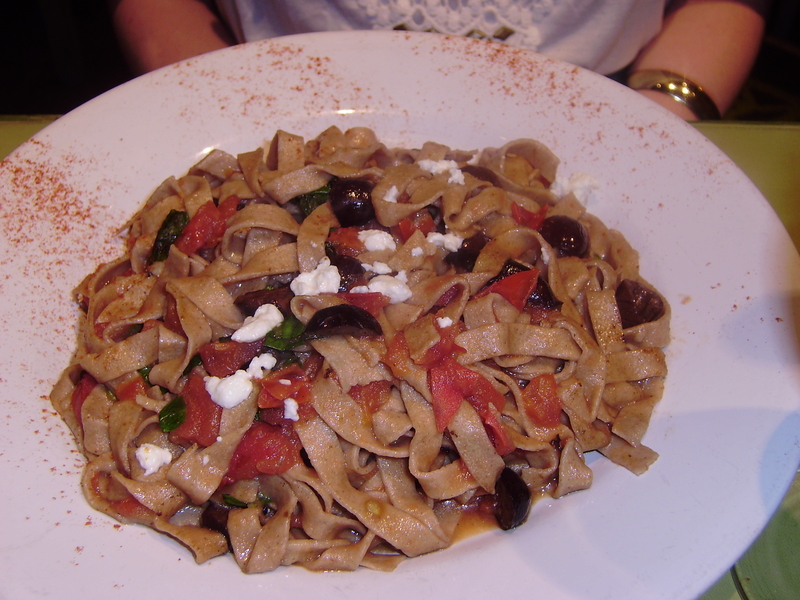 Blair had a whole wheat pasta with tomatoes, olives and goat cheese. Not much of a sauce, but very filling. We were too full for dessert, so we headed home. Bio is a truly unique dining experience in Buenos Aires, with its many vegetarian and organic dishes, and a very satisfying one at that! Monday to Sunday from 9 to 01 hs. You should take her to Saatva, it’s similar but a little less heavy.